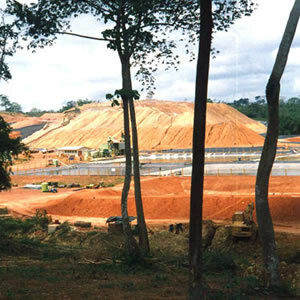 The Ayanfuri Gold Mine in the Ashanti Region of Ghana was developed by Cluff Resources Ltd (CRL). Lord Consulting Engineers participated as specialist power engineering consultants in the production of a bankable feasibility study. The most appropriate power supply arrangements for this remote location was a primary consideration in the planning of its development. The proposed scale of the operation and its distance from the nearest utility connection point dictated that an on-site power generation facility would be required. This was sized, designed, specified and procured on behalf of CRL by Lord Consulting Engineers who also oversaw its installation and commissioning. The electrical power distribution needs of the operation were also designed and specified by Lord Consulting Engineers. Electrical installation work was completed by a locally based contractor. Final testing, commissioning and handover of the completed installation was overseen by Lord Consulting Engineers.